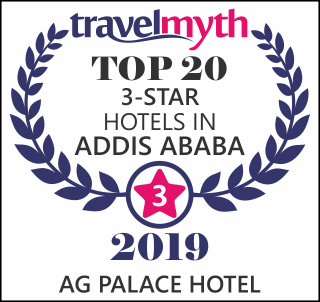 We are a small quality driven hotel found in the heart of the Ethiopian capital, Addis Ababa, also known as the capital city of Africa: where leaders are looking for a convenient venue to hold serious discussions and take decisions that will impact millions of people. Ag Palace hotel offers a choice of both full hotel service operations as well as self catering facilities. Our portfolio includes standard hotel rooms, deluxe hotel suites and single rooms . Ag Palace is ideal for business travelers, leisure, stopovers, long stays and transits. At Ag Palace we provide a variety of choices. Whether you are a discerning budget traveler or just looking for that element of luxury of a 5 star business hotel, we have what you are looking for and best suit your need. Our hotel provide only the highest levels of comfortable quality accommodations and conference facilities and we are the perfect choice for your next visit to Addis Ababa. We look forward to welcoming you as our best valued Ag Palace guests.